Mr. William Dennis Simpson of Greensburg, Kentucky, son of the late James Ogden Simpson and Margaret Woolridge Simpson, was born on Thursday, May 28, 1936 in Green County, Kentucky and departed this life on Friday, April 5, 2019 at the Jane Todd Crawford Hospital. He was 82 years, 10 months, and 8 days of age. He had made a profession of faith in Christ and was a Deacon at the Fry Baptist Church. He was also a self employed Carpenter. Besides his parents, he was preceded in death by his wife, Juanita Lee Keltner Simpson on January 17, 2016 having united in marriage on June 4, 1955. Other survivors include two sons and daughters-in-law: Rick and Debbie Simpson and Bryon and Lisa Simpson all of Greensburg; a daughter and son-in-law: Jennifer and Andy Judd of Greensburg; seven grandchildren: Tiffany and Shane DeSimone, J. and Courtney Simpson, Kyle Judd and Fiancé Jasmine Lawson, Jaysen Judd, Colton Simpson, Bradley Judd, and Chloe Simpson; four great-grandchildren: Brooks DeSimone, Coralyne DeSimone, Katherine Simpson, William Simpson; two sisters and a brother-in-law: Joyce and Leroy Patterson and Bernice Janes all of Greensburg; two brothers and sisters-in-law: Stanley and Lucretia Simpson of Campbellsville and Boyce and Judy Simpson of Greensburg; two uncles: Homer Simpson and Bill Simpson both of Greensburg; and a host of other relatives and friends. 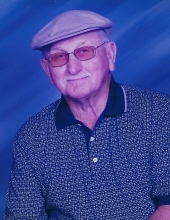 The funeral services for Mr. William Dennis Simpson, will be conducted at 2:00 P.M., Central Time, Sunday, April 7, 2019 at the Cowherd and Parrott Funeral Home with burial to follow in the Green County Memory Gardens. Bro. Larry Wisdom, Bro. Nathan Crawford, and Bro. Mark Lile officiating. Memorials are suggested to the Fry Baptist Church Building Fund, which can be made at the funeral home. To plant a tree in memory of William Dennis Simpson, please visit our Tribute Store. "Email Address" would like to share the life celebration of William Dennis Simpson. Click on the "link" to go to share a favorite memory or leave a condolence message for the family.